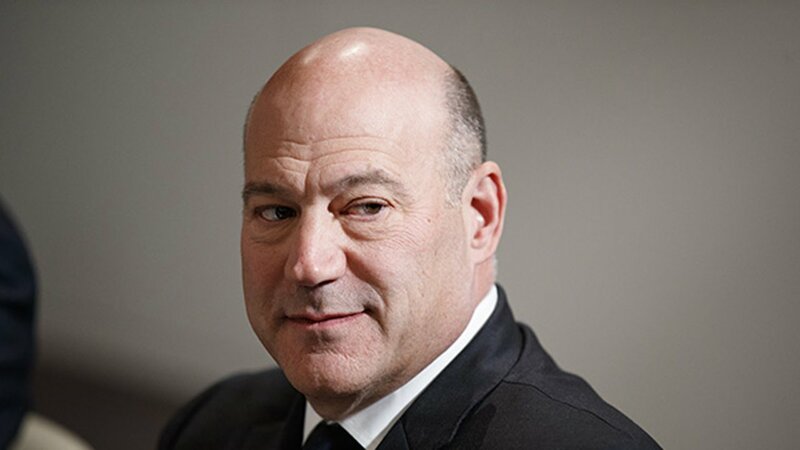 WASHINGTON -- Top economic adviser Gary Cohn is leaving the White House after breaking with President Donald Trump on trade policy, the latest in a string of high-level departures from the West Wing. "Everyone wants to work in the White House," Trump said during a joint press conference with Swedish Prime Minister Stefan Lfven. "They all want a piece of the Oval Office." Cohn nearly departed the administration last summer after he was upset by the president's comments about the racial violence in Charlottesville, Va. Cohn, who is Jewish, wrote a letter of resignation but never submitted it. In a tweet earlier Tuesday, Trump sought to portray himself as the architect of the White House staff changes, writing, "I still have some people that I want to change (always seeking perfection)." Multiple aides who are considering departing said they didn't have a clue who could fill their roles - adding that their desire to remain team players has kept them on the job longer than they had planned. But they warned they were nearing their breaking point. A number of aides have expressed worry about the legal implications - and steep legal bills - they could face if ensnared in the ongoing Russia probe. The probe has had a chilling effect on an already sluggish White House hiring process, according to officials, and there is wide concern that working for Trump could negatively affect future career prospects. Meanwhile, the prospects for significant governing achievements in the coming years - like the GOP tax bill passed in December - are growing fleeting, as Republicans face a daunting electoral environment this fall. In a riff Saturday at the Gridiron Dinner, an annual white-tie affair, Trump engaged in a rare bout of self-deprecating humor, comparing the Oval Office job to his past career as the host of the reality-television show "The Apprentice." "In one job I had to manage a cutthroat cast of characters, desperate for TV time, totally unprepared for their roles and their jobs and each week afraid of having their asses fired - and the other job I was the host of a smash television hit." Lemire reported from New York. AP writers Darlene Superville, Jill Colvin, and Ken Thomas contributed.